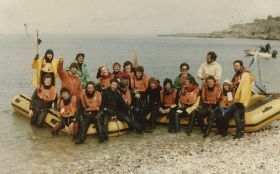 April 1985 – probably Brixham Breakwater. 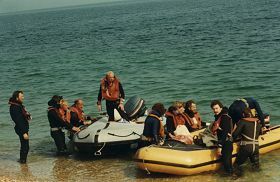 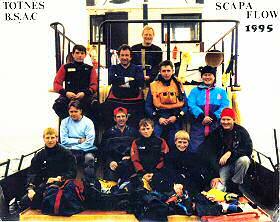 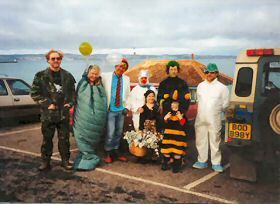 Fancy Dress at Shoalstone, Brixham – 1990? 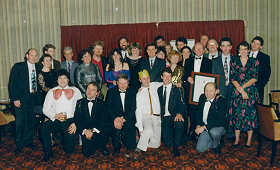 Night of the Heinke award 1993. 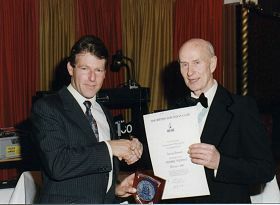 Martin Cox (left) on behalf of the club, receiving the Heinke award from George Brookes in 1993.